Automotive Performance — R.J. Machine Company, Inc. Introducing our latest line of high performance, aftermarket supercharger pulleys for Ford Shelby Mustangs. We have developed a line of supercharger pulleys for the 2007-2011 Shelby GT500. 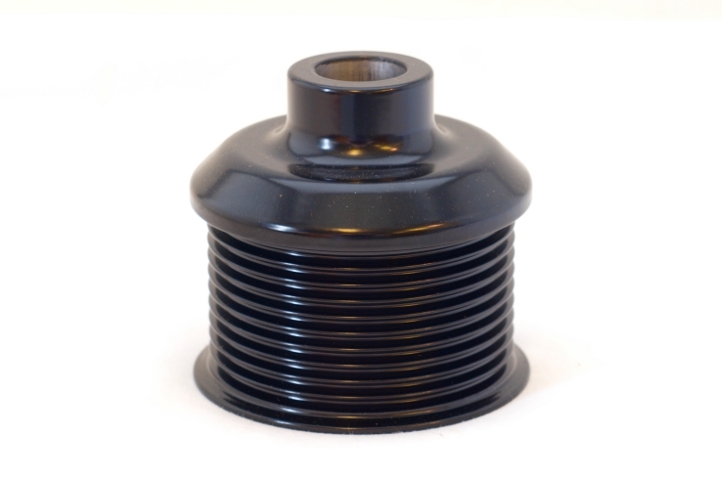 We supply 10 ribbed, 2.6” diameter drive pulleys for the stock Eaton and TVS Superchargers. They have a stock look, with aftermarket performance; Gaining an average of 4 PSI over the stock unit! Precision machined grooves, ensuring maximum purchase on the belt. We've seen the competitions offerings rip belts apart because of poorly designed grooves. One of the most important parts of our design is the pulley-to-belt contact area. 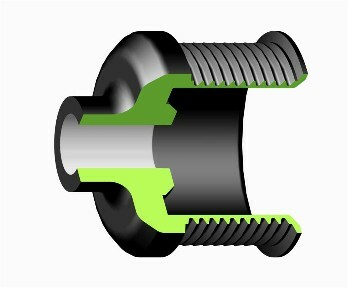 Our design has gone through many revisions to insure optimum contact and friction. Honed bore, round & straight within .0002! Never worry about the pulley slipping on the supercharger shaft ever again! Lead-in to insure that our pulleys go on perfectly straight, every time. Powder coating in a variety of colors and finishes, just ask! You no longer have to choose between a few rigid available sizes; we can customize pulley diameters to your exacting requirements. Determine the boost level you are looking for, and we’ll supply the pulley that will get you there! Featuring durable powder coat finishes, tight tolerance grooves, and honed bores for a superior fit. Call for more details and pricing. Design to be used with our aftermarket pulleys, this fully adjustable tensioner pulley & bracket features dual, high speed bearings, and precision machined components. Fully sealed from the elements and ready for high horsepower applications.